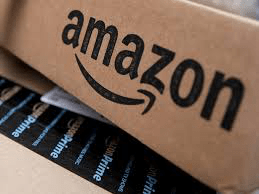 Majority of New Yorkers support the Amazon Long Island City Headquarters…Poll…. After relaxing over getting the company to locate a another headquarters campus in Queens? Supporters of the move and the NY Governors people are gearing up to keep the ball rolling against those who are against the terms of the deal…. Most New Yorkers back the billion-dollar deal to bring Amazon to Queens, according to a new poll released Tuesday. The Siena College poll found that 56% of voters are perfectly fine with New York back using $3 billion in tax incentives to bring 25,000 jobs to Long Island City. In the five borough, roughly 58% of residents support for the plan, while 66% of suburban voters back the deal. The poll, which asked voters if they supported the tax subsidies tied to the jobs, comes after political opposition reportedly prompted the online retailer to “reconsider” it’s planned high-tech campus. “Even as Amazon is said to be re-examining the deal to locate in Queens, by twenty points New York voters approve of the deal,” said pollster Don Levy. Minorities appear to be the biggest backers of the deal. Roughly 70% of black voters and 81% of Latinos support the project, the poll found. White people were more evenly split on the issue, 51% in favor to 40% opposed. Gov. Cuomo, who helped deliver the e-commerce giant to Queens with Mayor de Blasio, applauded support from everyday New Yorkers. “We get $27 billion in revenue and it costs us about $3 billion, you ask any New Yorker, I think most New Yorkers are stunned we could lose Amazon.”…. Well despite the polling showing support for Amazon coming to Long Island City Queens NYC…. The anti-Move people got their wish…. Gonna be some VERY disappointed people about this on the local and national level….